Catfish Dream is told in 129 pages with every line crafted to tell the best parts of a man who rose above barriers to become a war hero, commu­nity hero, family hero, and business hero. In this book, Rankin articulates the proud history of the Scott family in farming, community, and business. 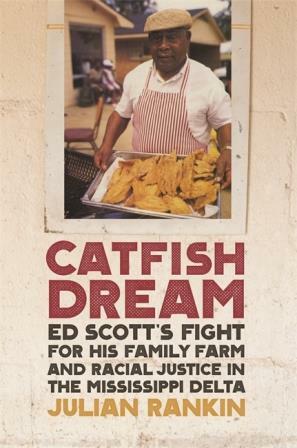 The book traces Ed Scott Jr.’s struggles to keep his land, despite the discrimination and disenfranchise­ment he and other African American farmers faced during the 20th century, and on the slow road to seeing injustices made right. Instead of being a book that just makes readers angry and sad about the plight of African American farmers in the recent past, Rankin describes Ed Scott Jr. as a figure not unlike Henry Ford. A strength of this book is that it is approachable to all, and everyone who reads it will be glad they did. This book could appeal to both academics and practitioners. . . .